The Bank of America Stadium, in Charlotte, NC will be rocking tonight. Their team is undefeated and just gaining steam. The big questions tonight on Monday Night Football will be: Can Cam Newton and the Panthers keep their unbeaten record intact against Andrew Luck and the Colts on Monday night? Both teams, the Panthers and Colts started off the season with high expectations, but out of the two teams the Panthers are the one who have met those expectations. The Colts have been underachieving since the start, and are trying hard to get back on track as they prepare to face off tonight. The Panthers have a perfect record, 6-0 and are only one of four remaining unbeaten teams in the NFL, and the only undefeated team in the NFC. How are the Panthers winning? 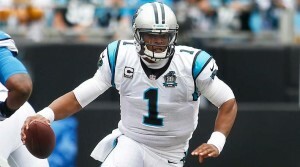 It’s through a combination of hard fighting defense and quarterback Cam Newton’s play who is throwing efficiently. He’s just playing good old fashioned solid football. Their running back, Jonathan Stewart also seems to be coming into perfect form, rushing for a season-high 125 yards in last week’s win against Philadelphia. The Colts are only 3-4, but they are in first place in their division which is because they play in the awful AFC South. They are coming off two consecutive loses and quarterback Andrew Luck, might be playing with sore ribs and shoulder injuries. He is not playing very strongly. His poor play in combination with high expectations has put Colts’ coach Chuck Pagano in a tough spot, whose job security is at best shakey. He needs more wins if he wants to stay with the team most experts think. Tonight, Luck and his teammates Colts will face off against the league’s top defenses. The Panthers are considered to have the best in the NFC. Josh Norman is one of the best corners in football, Kawann Short is impossible to block at this point, and Thomas Davis and Luke Kuechly are the best one-two linebackers in football. On offense, Carolina has the leading record in the NFL in rushing, Jonathan Stewart has looked his best over the past two weeks. Quarterback Cam Newton is reading the plays effectively and quickly so that his scrambling skills are now considered the best the NFL has. The Colts’ rocky road so far in 2015 will probably get a little rockier in this Week 8 match up. The Indy offense should be able to get things going with Frank Gore on the ground but how far can that take them, is to be seen. For Indy to find success they must employ a more efficient short-passing game that focuses on better matchups with Gore, Coby Fleener and Donte Moncrief. The Colts’ defense is totally another issue. They’re pretty much terrible as they currently rank dead last in the NFL in total defense. So fans can expect that trend to continue and that Indianapolis will have difficulty on that side of the ball tonight. Stopping Carolina’s potent rushing attack might not even be possible for Indy. Carolina’s head coach Ron Rivera will keep employing the same game strategy that got them this far on their 6-0 start. Thet will run the ball effectively, chew up the clock, and play great defense. The Colts will probably try stacking the box to slow down the Panthers’ amazing run game, but it probably won’t help much. Even if by some chance the Colts can control or stifle Carolina’s ground game, success can still be had if Carolina uses a strong pass attack against this Colts’ defense. The Panthers don’t have star wide receivers to choose from, but Cam Newton is just as dangerous with his arm as he is with his feet. He could run in yards easily. He also has at least one weapon in tight end Greg Olsen who will provides a nightmare matchup for any defense, let alone the Colts’. If you do the math, on paper Carolina looks like an obvious mismatch for the Colts and a guaranteed win for the Panthers, but in typical Indianapolis style, they should find some way to keep it interesting. We think though, that Carolina’s defense will frustrate the lacking Colts offense tonight. The rushing game, and the passing game for the Panthers, will most likely be enough to keep them in control of this game. So we predict a Panthers win a close-ish one at home tonight.